Craig W. Harvey is a founder, a graduate of Morehouse College with a Bachelor of Arts Degree in Business Administration. He received his Master of Business Administration in Finance from Southern Methodist University - Cox School of Business. He received his Juris Doctorate Degree from Texas Southern University - Thurgood Marshall School of Law. He is licensed to practice in all state courts and before the United States Tax Court, the Texas Northern Bankruptcy Court, the United States Bankruptcy Court for the District Court for the Northern District of Texas. Craig’s specialized area of practice includes public finance. Craig counsels both issuers and underwriters in almost every aspect of tax-exempt bond financing and infrastructure development. Craig’s areas of practice include school finance, municipal finance, infrastructure, and urban development. 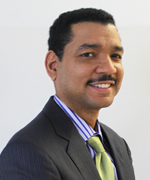 He serves as bond counsel for several cities, counties, and school districts as well as special utility districts. In the area of traditional finance, Craig has been instrumental in guiding a number of clients through financing structures that avoid any negative impact on the tax base. Craig has also developed his specialized practice in the areas of Public Housing and Real Estate Development, and is the firm’s principal authority for school bond financings in the States of Texas. We take great pride in representing our clients. Send us an email with your information and we will contact you shortly.